This is going to be an unusual review. For the first, time, we're reviewing two products at once. 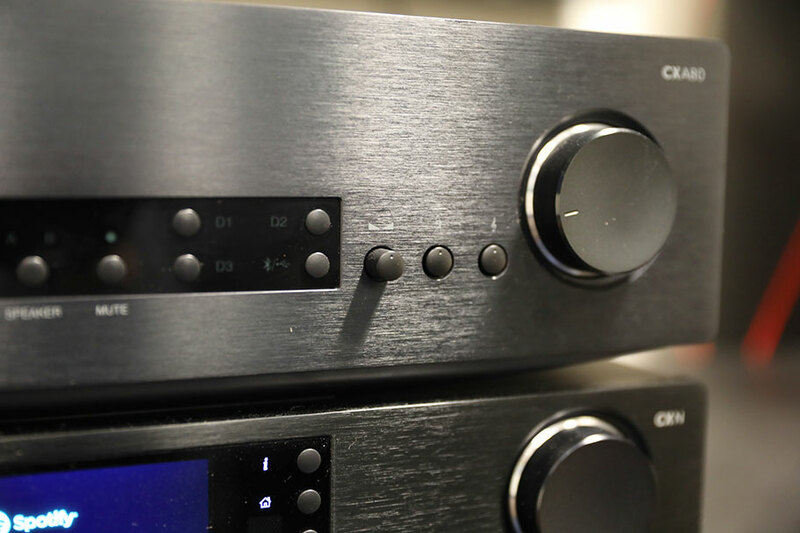 Cambridge Audio's CXN (V2) streamer and CXA80 amplifier may retail as separate products, but we've never seen another pair that work so well together. In this review, we break down the sound, design, packaging and accessories, specs and more of the CXN (V2) and CXA80. We'll be showcasing more alternatives in our roundup of the best music servers, coming soon. 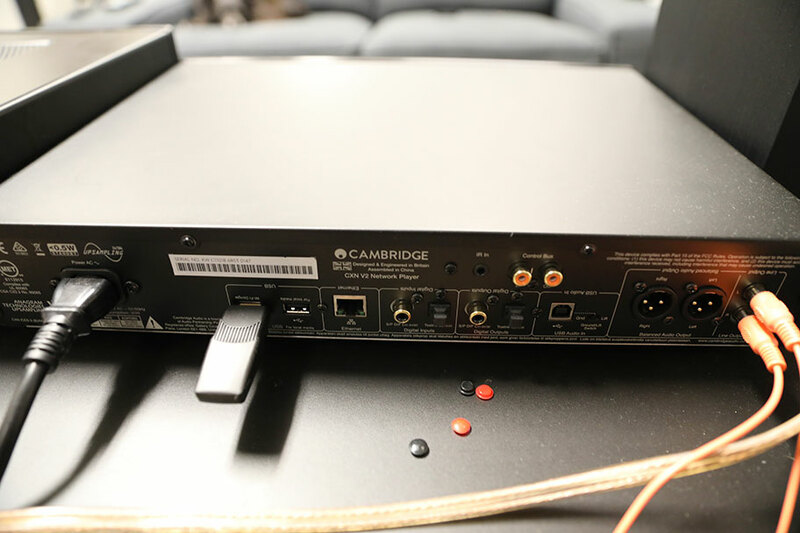 It's entirely possible to use the $900 Cambridge Audio CXN (V2) as a simple music streamer, connected to an amp and DAC of your choice. As we explain in more detail below, it handles just about any audio source impeccably, and will happily slot into an existing system. The CXA80 can be used in a similar way. It's a $1,000 80 watt integrated amplifier with included DAC, and it will work with any existing speakers or components you happen to have. The thing is, these aren't just two components that happen to share a parent company. The CXN and the CXA80 were designed to work together. They sit on top of one another. They ship with identical remotes that have sections for each particular model - meaning that if you only buy one, you'll have a whole section of your remote that is utterly useless. Turning on one turns on the other, if you use the remote. Hell, Cambridge Audio themselves prominently display them together on their product pages. 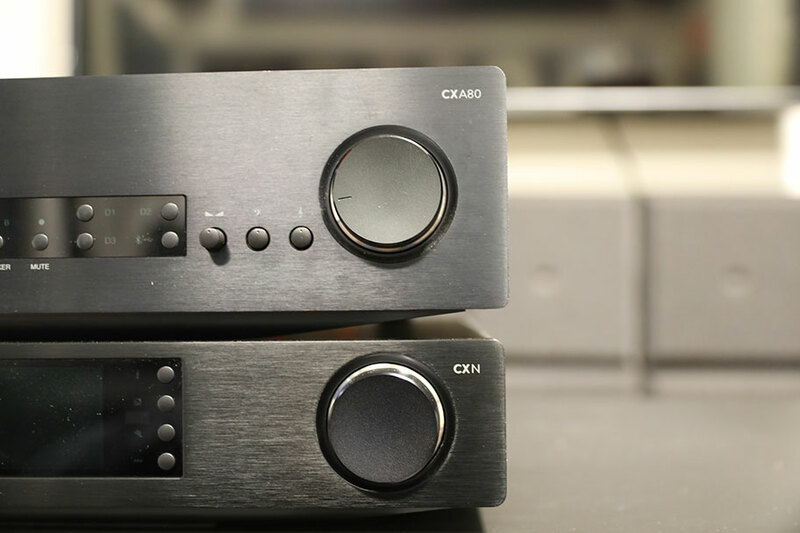 The CXN and CXA80 are different to something like the Schiit Magni 3 amp (full review here) and Modi 3 DAC. Those two products are also designed to work well together, and designed to stack, but you never get the sense that they're inextricably linked. Using a Magni without a Modi is fine - like two best friends going to separate homes after a day playing in the park. Using a CXN without a CXA80? That would be like separating twins. We couldn't be heartless like that. So yes: we're going to review them together. In all cases, we'll indicate whether we're talking about one of the units, or both, and we'll make the usual appropriate comparisons. It's the Cambridge Audio CXA80 that makes the noise here. 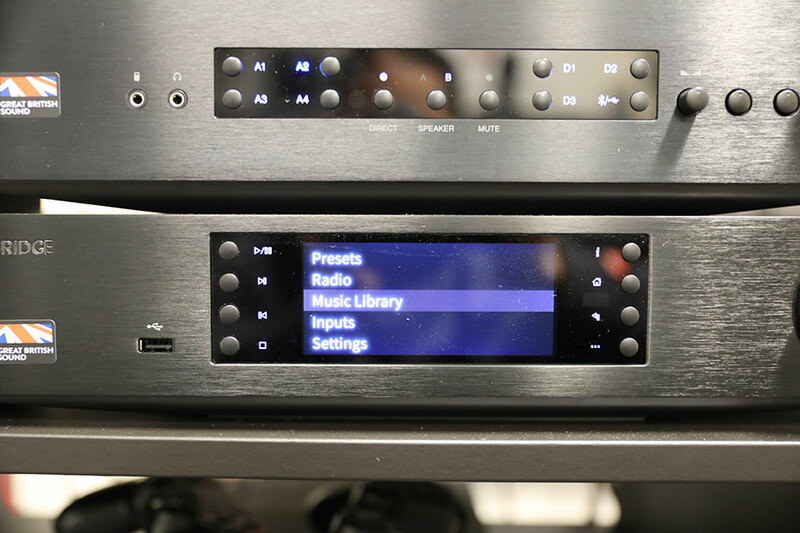 The CXN (V2) may decide what audio is playing, but it needs an amp like the CXA80 for you to hear it. It is, as we mentioned, an 80 watt integrated amplifier with an included DAC. Whether you use it separately from its twin CXN, or together, you'll get to experience the absolutely fantastic sound quality it puts out. And it all starts with the bass. The 80 watts of power the CXA80 puts out is hugely energetic. The low-end weight is terrific, with real definition and excitement. Kicks thump and pulsate, basslines feel like you could touch them, and everything is imbued with a real sense of quality. The other amps in this line, like the CXA60, have a similar sound signature - but having now heard both, we feel like the CXA80 really does make the most out of those extra twenty amps. As Spider-Man fans know, with great power comes great responsibility - and in the case of audio companies, the responsibility is to make that extra power count. Cambridge Audio have, in every way that matters. (If you don't need the extra power, the CXA60 goes for $750, versus $999 for the CXA80. This is one area we'd like to see Cambridge Audio improve on. While the CXA80 doesn't disappoint - and compares favorably with other amps in its price range - we did find ourselves wishing for a little bit more liveliness from our sound. There's a concept in audio known as agility, which refers to how quickly an amplifier or set of speakers can jump between different elements of a song. Imagine a set of quick, plucked strings: an agile amp would play one pluck, and quickly clear out the reverb and decay from the note, so that the next one is crystal-clear. The CXA80 doesn't quite do that. While it delivers plenty of muscle down low, and manages to deliver the right weight and richness to elements like vocals, it doesn't have that agility we were looking for. Highs - snare snaps, strings, and effects - never felt quite as precise as we wanted them to. There was a sense that we weren't seeing the full picture. That was a shame, compared with how exciting the bass was. Put it up against other amps in this price range, like the $995 Rega Brio, and it just can't cut it. The results didn't change very much when we used different inputs, like the USB in the back - we'll talk more about inputs below. We tested this amp with a variety of speakers, ranging from simple Audioengine HDP6 speakers (full review here) to some $1,000-plus floorstanding speakers from companies like SVS and ELAC. While there were differences with every system, we consistently felt like we weren't seeing the whole picture. The bass was crazy, but we wanted just a touch more excitement up top. This looseness in the audio detail should have been mitigated by the filters, but it wasn't. There are two on the front of the amp - one for treble, one for bass, along with a balance control. The treble and bass are indicated with a treble clef symbol and a bass clef symbol, which is something we have mixed feelings about. We also have mixed feelings about their effects. It never felt like we were improving the sound, just revealing what was already there. We tried to dial in a little more high-end detail, and quickly dialed it back. It must be said that the CXA80 has a very capable DAC inside it. The conversion from digital to analog is handled here by a Wolfson WM8740 DAC, and it performs very well. It's worth noting that the CXN has dual DACs of this make, which is a wise choice from Cambridge. If you don't want to spend the money on an external DAC, you'll be well taken care of here. While we may have misgivings about the sound, there's no question that both the CXN (V2) and CXA80 look absolutely magnificent. Cambridge definitely has a house style - with their brushed metal and hard angles, you can recognize one of their amps from a mile away. That's definitely the case here. Both products are heavy, machined blocks of metal. While only the CXN has a digital display, the CXA80 has a black central control section that echoes it. If you aren't yet convinced that these two belong together, their design should do the trick. While it would have been nice to have the CXA80 slightly more digital, perhaps with its own display, that would have added to the cost, and would have been a touch pointless. Either way, these look great, and they are built like tanks. We adore the little touches, like the motorized volume knob on the CXA80, and the handy physical controls discreetly placed alongside the CXN's screen. Generally speaking, streamers and amps in this price range tend to look pretty good - with the exception of amps from folks like Yamaha and Pioneer, which elicit winces whenever we bring one into the office. But the Cambridge models are much better than several more expensive streamers - just take a look at the $2,900 Moon by SimAudio Neo Ace, and try not to to wince. Moon and/or Simaudio make superb gear, but they're no lookers. We really struggle to think of an audio source that the CXN and CXA, between them, can't handle. As we write, Cambridge Audio have just added Chromecast functionality to the CXN via an update. 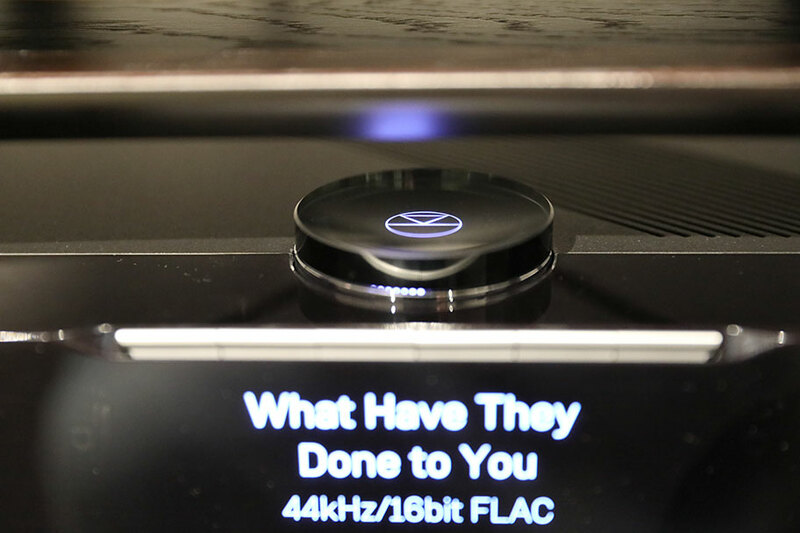 They also made it Roon-compatible - Roon, if you didn't know, is an ultra-high-end version of iTunes that is perfect if you're building your ultimate home audio system. The CXN plays audio over Wi-Fi. It will do Internet Radio, Bluetooth audio, and Apple AirPlay. It will stream audio off a network drive, whether on USB or wirelessly. If you ask it nicely, it will probably make some tunes of its own. It's compatible with just about every streaming service you can name - we did have trouble connecting to Tidal, but we suspect that was down to the streaming service, not the CXN (we've had issues with the service before). 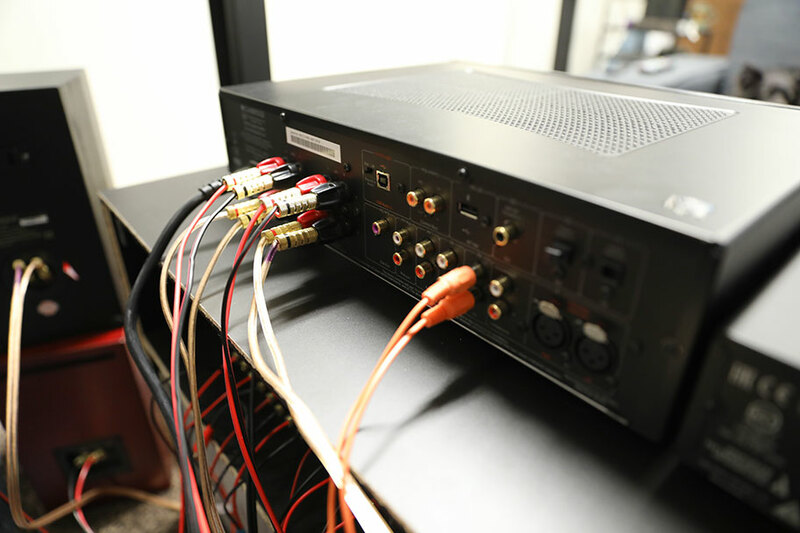 The CXA80, on the other hand, has its own set of inputs and outputs: USB, a set of analog inputs, a control bus, a subwoofer output, as well as TOSLINK and S/PDIF inputs. We are not joking when we say that you can put any audio source through these. 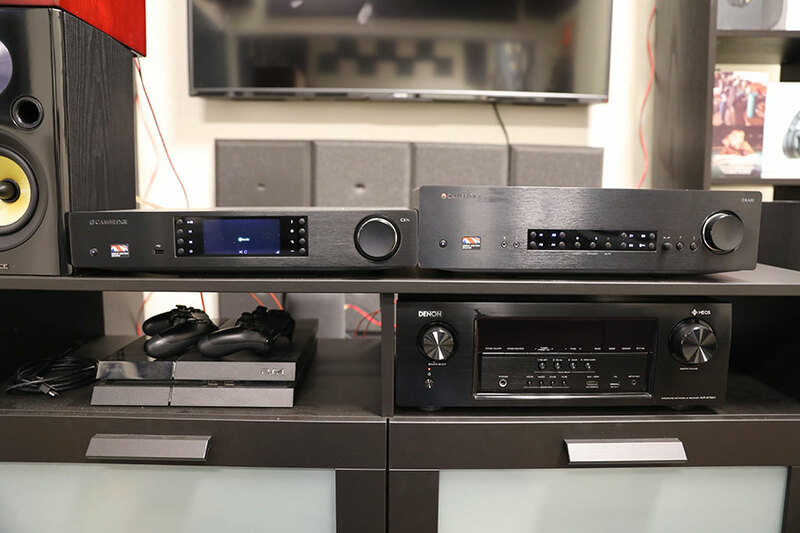 There's a comprehensive selection of outputs on both products, too, including a subwoofer out on the CXA80, meaning you can turn this into a capable 2.1 system. There are also two speaker outputs, letting you connect two pairs - even if you don't test audio gear for a living, as we do, then this will have you punching the air. The labels on each input and output are also written right-way-up and upside-down, perfect for when you're leaning over the amp or streamer, trying to attach a cable. One weird thing: to connect your CXN to the Internet, you'll need to attach the included Wi-Fi USB dongle to the back. Unlike other streamers, like the $549 Bluesound Node 2i, you can't just plug it in and connect - you have to attach this little USB stick. We're sure there's a good reason for that, engineering-wise, but it's an annoying step that shouldn't be there. If other companies can get around it, there's no reason for Cambridge Audio not to do so. The CXN's digital display is surprisingly handy. Coupled with the remote control, it's relatively easy to navigate the menus, and to display exactly the information you need. A quick tap of the Info button on the remote lets you go full-screen with your album art. The display and operating system felt responsive and straightforward, and didn't require a menu to navigate. 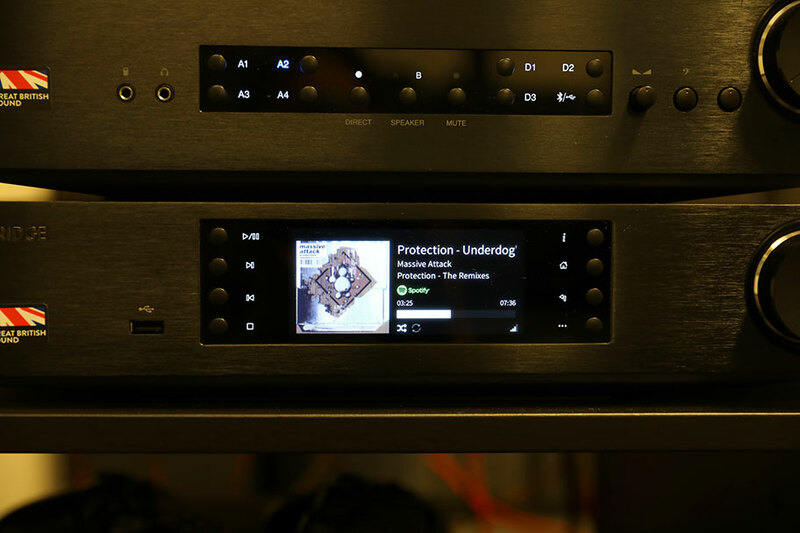 It's a big bonus point in Cambridge Audio's favor that much-more-expensive streamers, like the Naim Uniti Atom (full review here), have a display that isn't much better. 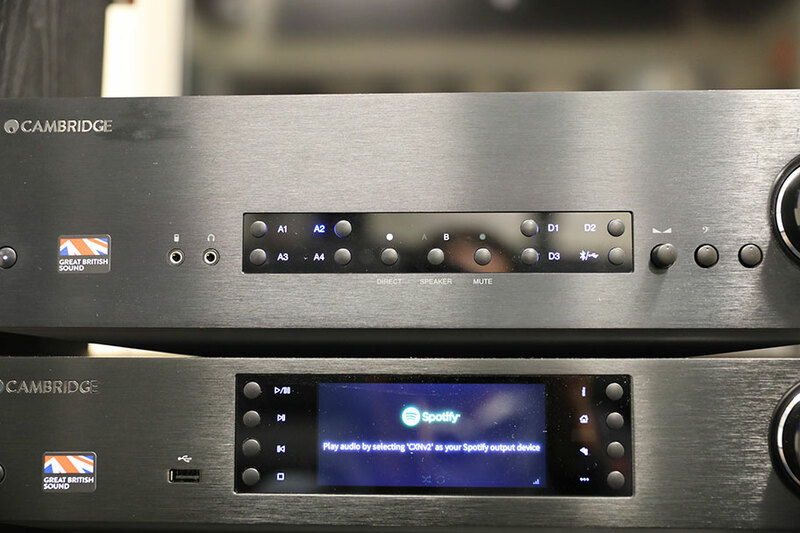 While we consider the $3,295 Naim to be the pinnacle of music streamers, with a fantastic display and operating system, the CXN's is very good in comparison. For a streamer that costs a third of the Naim's price, that's a decent look. There's also an app you can use, available for both iOS and Android. It's quick and responsive, and handles all aspects of the systems well...but we found we didn't use it much. It felt quicker and more natural to activate Spotify or Tidal on our phone, and simply tell it to play via the CXN, than it did to pull up the Cambridge app and ask it to access a streaming service. We're not exactly faulting Cambridge here - this is, we've found, an issue with music streamer apps in general. It's a good backup to have, and makes things like entering Wi-Fi passwords easy. It's worth talking about the remote a little here. 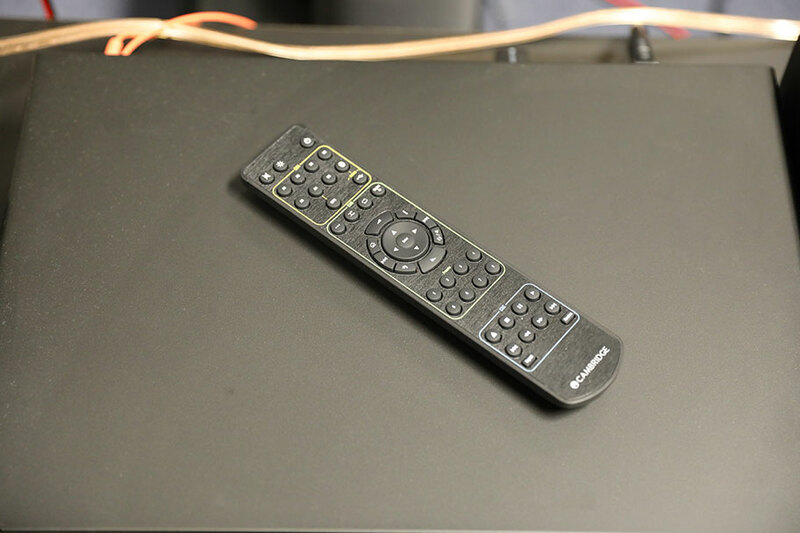 We mentioned at the start that the remote was one of the keys behind our decision to make this a dual review. That's because controls for the CXN (V2), the CXA80, and the CXC CD player are all included on one remote. The same remote comes packaged with both CXN and CXA, so if you order both, you'll have two identical remotes. Useful if you lose one, but a bit pointless. All the same, being able to hit one button to have both products turn on is a joy. The remote, while packed with buttons, never feels clunky or overwhelming. It's always easy to find what you're looking for. It's a significant improvement on other Cambridge streamers, like the $1,500 Azur 851N, which had an awful remote. Other than that, accessories and packaging are minimal and straightforward. You get assorted cables with each model, including a handy, bright-orange RCA cable with the CXN. You also get that infernal USB dongle. It all works well, and there's nothing conspicuous by its absence. 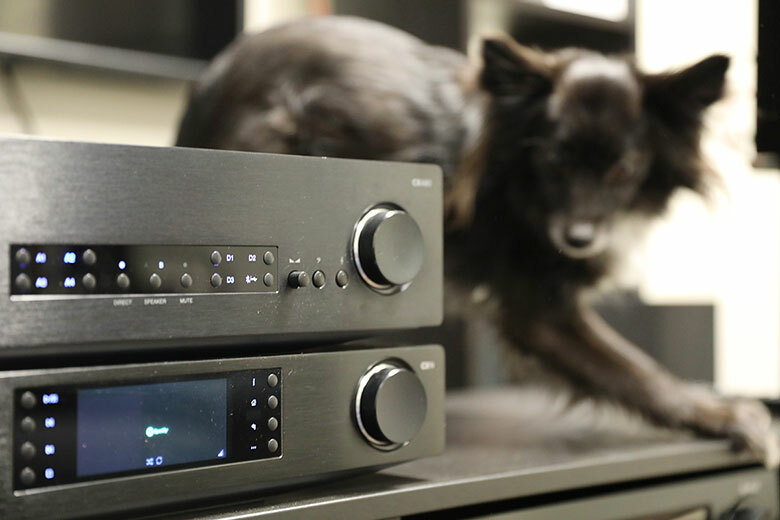 The CXA80 and CXN (V2) work beautifully together, giving you a versatile system you can add to later, all for under $2,000 total. The CXA80's bass is rich and engaging, with a level of warmth that we found addictive. The CXN (V2)'s interface is excellent, easily comparable with more expensive models. There's a huge range of streaming options available - no matter what you use, Cambridge has you covered. We thought the agility and detail of the CXA80's sound wasn't up to par. The CXN (V2) can only connect to Wi-Fi if you attach a silly USB dongle. It's great to have both amp and streamer on one remote - but get both, and you'll have an extra, identical remote that will need stashing somewhere! As this is an unusual review, with two products instead of just one, it requires picking from some equally unusual alternatives. We've decided to do this as follows. We're going to pick one all-in-one streamer and amp system, a straightforward integrated amp, a straightforward streamer, and another Cambridge Audio product to balance it out. Trust us, this is the simplest way of doing things! If you want alternatives to amps, check out our list of the best stereo amps of this year. We're working on a list of the best music streamers, so be sure to watch the site for that, too. Let's think about an all-in-one comparison - in other words, a single box containing both streamer and amp. Linn seem like the obvious choice here. Like Cambridge, they're British, and like Cambridge, they make incredible stuff. Their latest is the Linn Selekt DSM, an upgrade on their old Majik system. It's super-expensive, even for streamers - how does $6,825 grab you? That's a good $4,925 more expensive than both CXN (V2) and CXA80 combined. All the same, it's worth it. You get DAC, streamer, preamp and power amp, all of the highest quality. We've heard it and it's...wow. Just wow. On the other hand, the Cambridge products offer better value, so you don't have to stress if you can't afford the big Linn. 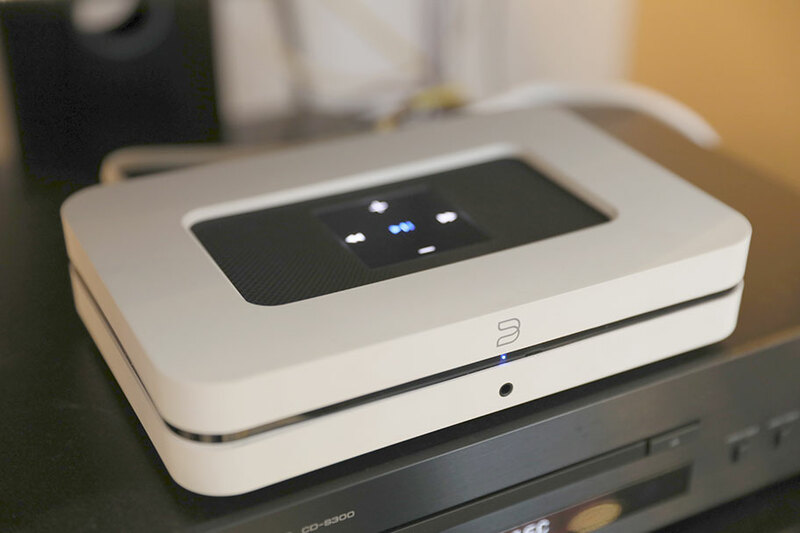 If you want something a little less expensive, we recommend the Bluesound Node 2i. It's only $549, versus $900 for the CXN (V2). You'll lose the display, and you can forget about Chromecast, but don't let that put you off. 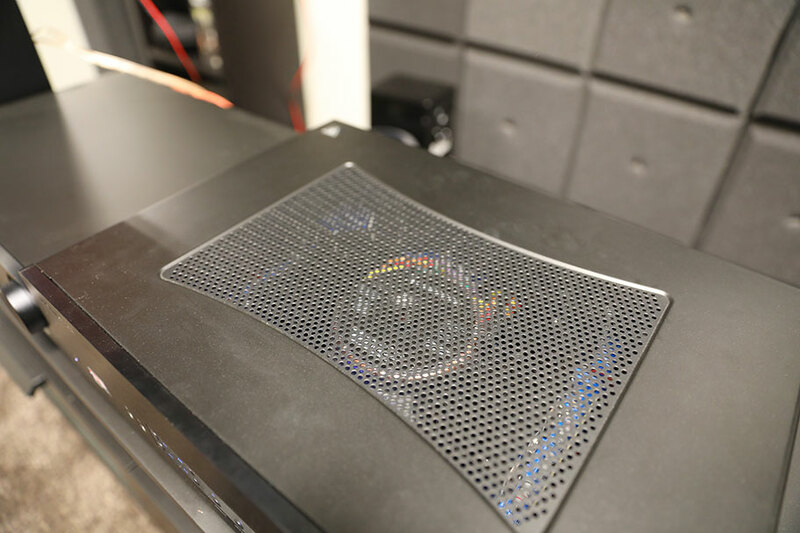 The Node 2i is an excellent streamer, and one we think has extraordinary value. Let the record show the CXN (V2) is still king here, but if you can't stretch to $900, the Node 2i is a great alternative. For an amp to compare to the CXA80, why not try the Rega Brio? It's only $5 less, at $995, and delivers superior sound. You may not get the functionality - no multiple speaker outputs, no sound filters. And you certainly don't get the power - the Rega puts out 50 watts, compared to 80 for the CXA80. But it sounds magical, with a rich detail, and an audio quality that is far more precise and elegant than the lumbering CXA80. We love the CXA80 and CXN together, but if we had to swap the former out for something, it would be this. Cambridge Audio make several other streamers, including the high-end Azur 851N. This costs $1,500, to the CXN's $900. If we're honest: buy the CXN. It's just better. The 851N has a clunkier interface and is far too similar to CXN to justify an increased price tag. It's also older, having been released in 2016. The CXN does everything it does better, and we don't think there's any reason to buy the Azur 851N instead.